An army marches on its stomach? Here, reenactor Spanish troops wait until the chef pronounces the black bean soup to be just right! Rough rider troops talk to visitors before the battle. 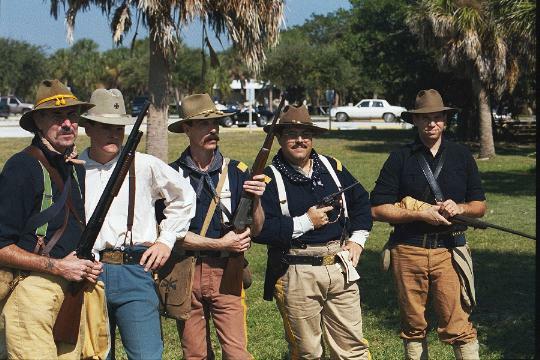 Reenactors have spent a great deal of time studying the weapons of that time in history, as well as the details of the battles. Home sweet home, for a field soldier in 1898. 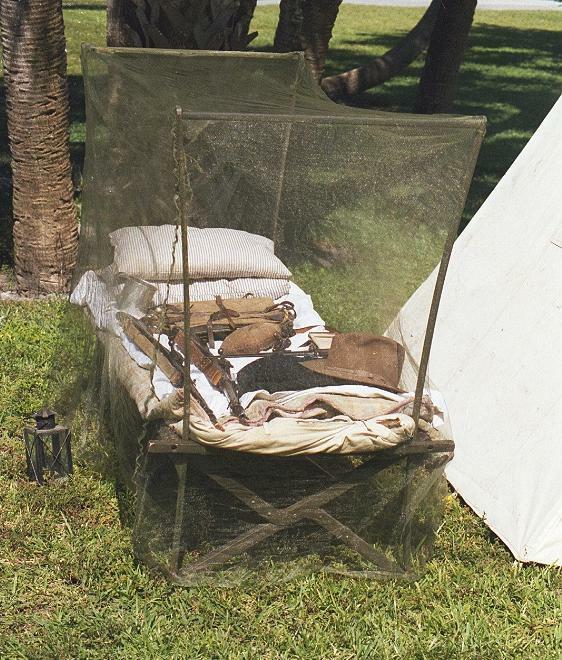 Spanish American war equipment displayed in the encampment. 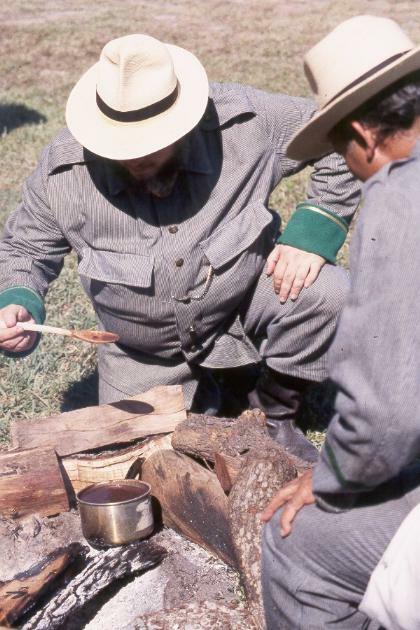 The mosquitoes were brutal, and the uniforms where hot and heavy.